The Selecter was once described as 'conspiring to make dancing the only way to walk.' Thirty one years later, those words still hold true! The band has kicked off a grassroots campaign on Facebook to get the single into the British pop charts and so far they seem to be getting the word out. After just one day, the song is already in the Top 40 of the Amazon.com 'Hot New Release Chart'. 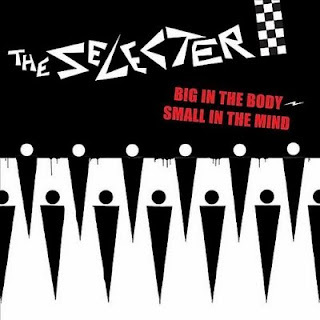 If you love the idea and ethos of 2-tone and are a fan of The Selecter then please consider investing less than a dollar or a pound to buy the single and send a message to the music industry and music press that ska is still alive and kicking! Please show your support! Below are links to download the track from Amazon.com U.S. and Amazon.com U.K. music sites. Love the track--and that it's an homage to Woodie "This machine kills fascists" Guthrie! Can't wait for the vinyl single of this cut! Very enjoyable song. Much better than I would have predicted.